Head – Group Human Capital, Max India Limited Mr. Dwarakanath who heads the Human Capital function of Max Group, brings a rich and varied experience of over four decades. 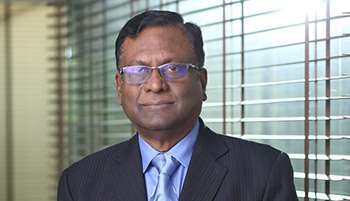 Prior to this, he was the Director – Human Resources and Administration, South Asia of GlaxoSimthKline (GSK) and associated with GSK for close to three decades. He was also a member of GSK’s International HR team. He is on the board of several Companies / Institutions including GSK Consumer Healthcare Ltd. Mr. Dwarakanath has held several management positions in the various professional bodies. To name a few, he was the President of National Human Resources Development Network (NHRDN), President of Delhi Management Association (DMA), Regional President – Northern Region of All India Management Association (AIMA) and Treasurer of AIMA. Mr. Dwarakanath has won several prestigious awards for his valuable contribution in the field of Human Resources including the “Pathfinders Award” and “Lifetime Achievement Award” by the NHRDN; the “Career Achievement Award” by GSK International, and “Chairman’s Award” by Max India.